This is the fourth story in our series of World Day Against Child Labor articles. The Country-Level Engagement and Assistance to Reduce Child Labor (CLEAR) II project hit the ground running in Liberia late last year with the establishment of the Liberia Legal Reform Committee (LRC), led by the Ministry of Labor. The LRC’s purpose is to “review laws on child labor, identify gaps in the laws and develop a list of hazardous and light work” in line with international standards, says Patience Heah, director of the National Coordinator of the National Commission on Child Labor of the Ministry of Labor. The LRC is making a big difference from children in Liberia. 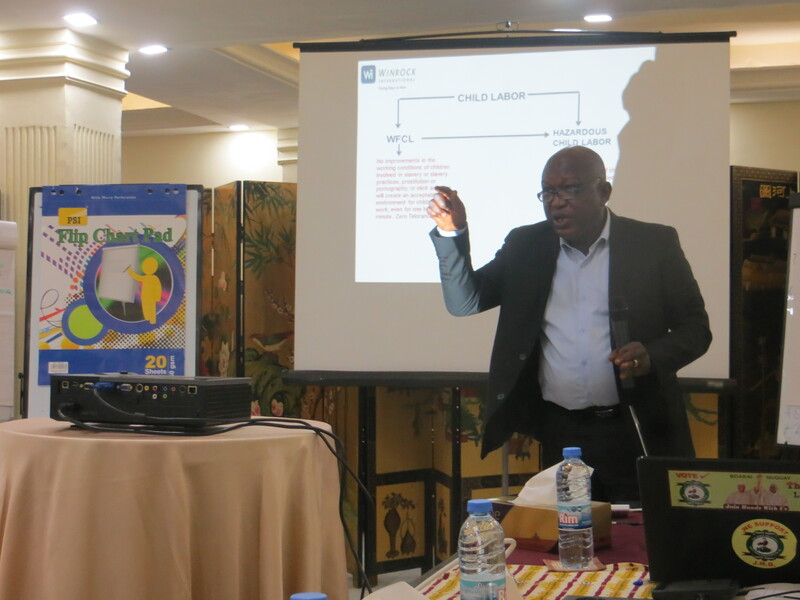 James Yekeh, CLEAR II Liberia country coordinator elaborating on the ILO’s worst forms of child labor during the Hazardous List and Regulation Workshop. LRC members were carefully identified in coordination with the Ministry of Labor and include lawyers from the Ministry of Labor and the Judicial Institute, representatives from other ministries, and individuals from employer’s groups and NGOs focused on child protection. All share a passion for improving laws that affect children. By bringing together a diverse group of stakeholders, CLEAR II is striving to enhance coordination between different groups and expedite action on child labor. Alex Tosia, assistant director of the Liberia Legal Reform Committee’s trafficking-in-persons division. 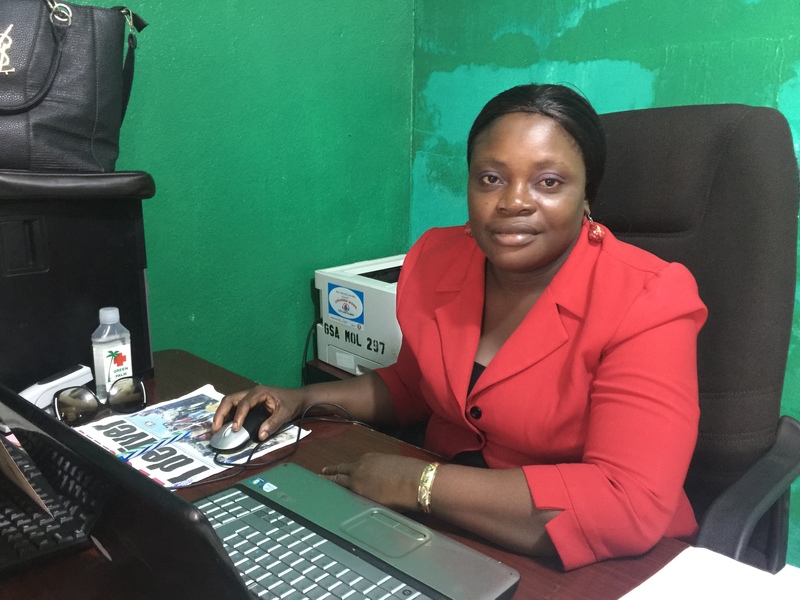 “The work of the LRC will give a smooth path for the trafficking-in-persons division, [which] supports the implementation of policy in Liberia,” says Alex Tosia, assistant director of the division. Michael Kahrim, a national coordinator from the Ministry of Education, said his purpose in joining the LRC was not only to improve laws but also to ensure that schools and communities are aware of these changes. LRC members received training on legislative analysis and child labor regulations from the CLEAR II team and its partner Lawyers without Borders. Through these trainings, LRC members increased their confidence in discussing key child labor terms and concepts and gained knowledge to draft key pieces of legislation. LRC members have shown strong enthusiasm for the project and have already drafted regulations for child labor violations and hazardous and light work lists in line with international standards. Patience Heah, director of the National Coordinator of the National Commission on Child Labor of the Ministry of Labor. These lists define what is acceptable and unacceptable work, which reduces ambiguity in child labor definitions. The lists also provide concrete, country-specific examples that support law enforcement efforts and help prevent children from engaging in hazardous child labor. Tosia and Heah said that while all LRC workshops have been important, the one on developing hazardous and light work lists was most beneficial. 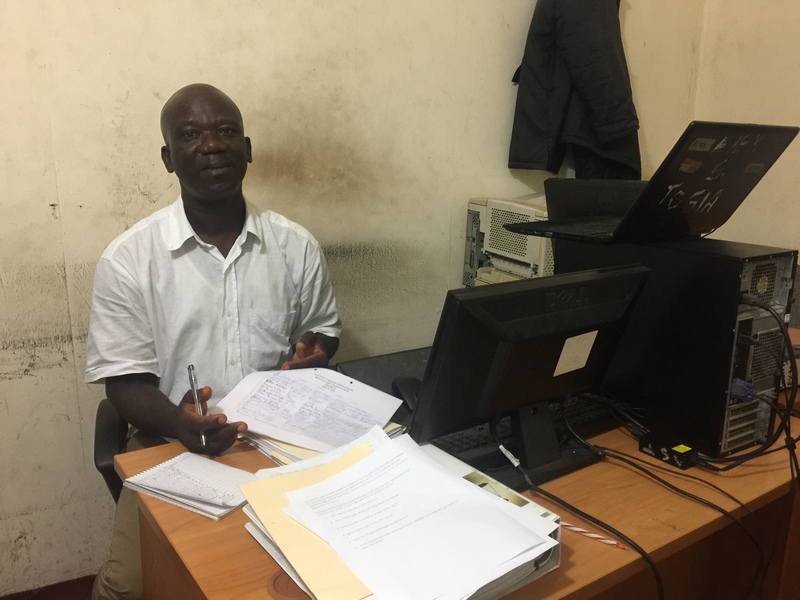 As CLEAR II’s ongoing technical assistance continues to strengthen LRC members, they will be better able to draft legislation for clearer child labor laws to protect the children of Liberia.